For another installment of the top five suggestions from Seedsman, we’re going to be bringing you a list comprised of just kush varieties. 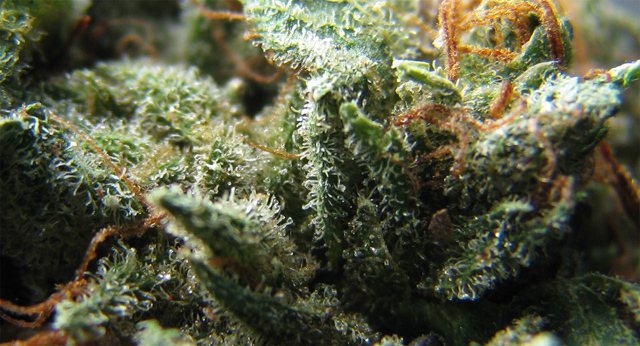 Kush, is the slang term assigned to the prized cannabis genetics from Afghanistan. These renowned high-altitude indicia strains are known for their deep colors and heavily sedating highs. These strains are also known for being vigorous in the grow, and frosty when it comes time to cut and cure. If you’re looking for a high potency and reliable indica, this is a set of strains you’re going to want to comb through – anything with a kush genetic is going to be heavily sedating and usually quite potent. 1. Buddha Kush OG Feminised Seeds from Big Buddha seeds is a strain that really gives credit to the Kush genealogy. This company has had successes with strains like Big Buddha Cheese and many other of their winning feminized seeds. This strain is going to produce a larger erthy and pine scented bud that will be available in 65 to 75 days. 2. Critical Kush Feminised Seeds from Dinafem is a kush strain that absolutely needs some looking into. Claiming success from its parents with Emerald OG and skunk genetics – this is a reputable breeder with some very potent parents. This kushy strain is going to have a slightly lighter and zippier high. You’ll find citrus smells and skunky notes at play with this cerebral and hybrid style of high. 3. Master Kush from Dutch Passion is no mild walk in the park. Just like any of the first two kush strains, Master Kush from Dutch Passion is going to be a heavy hitting and full-bodied high. This strain prides itself on being a F1 cross between two very potent landrace Hindu-Kush Strains. This bud is going to have very sharp and skunky smells. Maybe notes of a freshly cleaned kitchen – sharp and pungent chemical notes that are piercing and strong like vinegar. 4. Ceres Kush Feminised Seeds from Ceres Seeds is a strain that can be recommended on structure alone. The overall dense and frosty nugs of this genetic background could earn a spot on this list on their own. This strain is going to exceed and earn its worth in the “in-the-hand” feel. These are dense, and stickly little buds that will be as potent as they are visually stunning. Regardless of you knowledge of this company, give them a try purely based on the bud reviews as far as quality and structure go. 5. Lastly, I want you to pick out your own kush to go along with the other strains in this top five article. Violator Kush from Barney’s Farm is going to be a thicker and more dense bud that really exceeds in that “in-the-hand” feel category I just got into. Vanilla Kush (also from Barney’s Farm) is going to be a little bit of a lighter feel in the hand, smller and stickier buds. Violator would be a good choice if you like bud structure and Vanilla would be a really good call if you want sweetness.